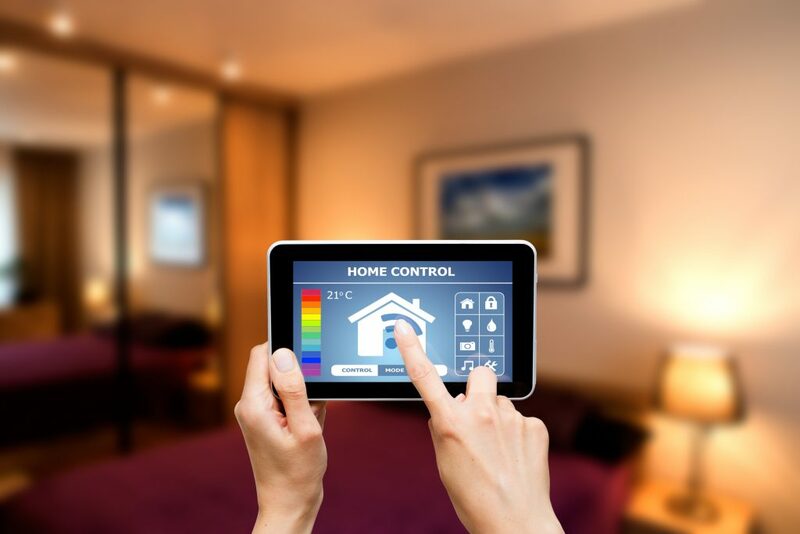 Technology has come a long way in the last few years especially within the security industry, all new CCTV and burglar alarm systems installed with All Secure security come with App ability. Having the alarm of Camera app means you can check your system from your sunbed while on holiday, If a family member needs to pop over while your away you can easily unset the system for them to enter and then reset it when they leave. Your app will also notify you of any disturbance or anybody entering your home via text email or an app notification. Light the way to secure your home. Burglars are quick to sense if a house has been unoccupied for days. There are tell tale signs—it’s perpetually dark inside, Smart Plugs that can be controlled from your phone are a great option, while your away you can simply open your app connected plug switch and turn on the connected light. Let them know you’re watching and watch them from your phone. Installing a security camera system can be a strong deterrent, particularly if you live in a quiet neighbourhood. Make them visible and don’t be subtle—fix a hidden camera somewhere but also install one in plain view, staring your would-be burglar right in the face. At All secure security our app connected CCTV systems give you the ability to check your home whenever and wherever you are. Keep your spare key safe. Do you keep spare house keys under the doormat or hidden among pebbles in your garden? That might not be a good idea, since these places are as accessible to a would-be thief as they are to you. A simple key safe hidden within your Garden is a great option, at All Secure our key safes come in a variety of sizes and styles and opening options to suit you and your needs. Most often you’ve spent a fortune installing a state-of-the-art alarm system and locks on the front door, only to leave the back door unguarded (it’s a very common problem we come across). Just because you usually use the front door doesn’t mean the burglar will too. When we carry out a house quote we Make a list of every possible entrance to your home and make sure they are all properly guarded and locked, this means your home or business is completely secure and not just partly secured. Apart from the front door, thieves may also look to enter via windows above the kitchen sink and upper floor windows (particularly those left open because you feel they’re too high up). Be safe and make sure that these windows are either locked when you’re not at home or set up alarms and motion detectors to protect the space. Our discreet wireless window sensors are barely visible, you can have as many devices or sensors you feel necessary to protect your home, again all these points can be discussed and covered on a home quote by All Secure Security. 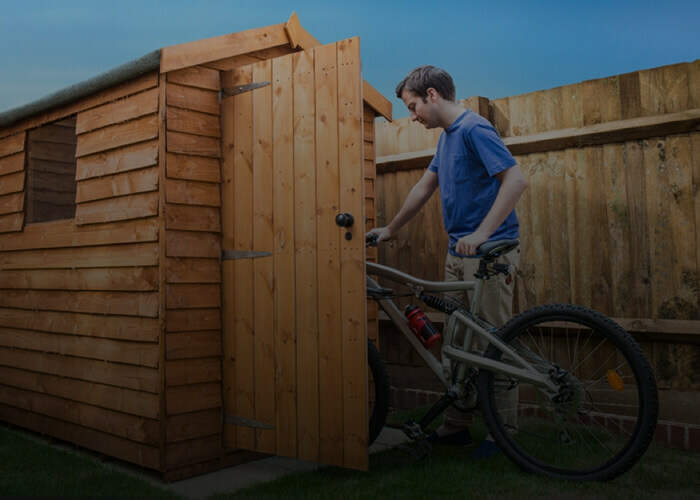 A big target point for burglars is outbuildings and sheds, many people overlook the contents of a shed, sheds tend to house our gardening tools, Bikes, lawn mowers and strimmer’s, if you add up the general contents of a shed it soon adds up. Its not just the items that can be stolen from our shed, our sheds tend to house items that can assist intruders to get into you homes, items such as tools and ladders are ideal for burglars to gain easy access to your house. A great option is to have a wireless device fitted within your shed (its vital to keep your shed clear of cobwebs as these can sometimes set the system off). For a free no obligation quote or to discuss your options please get in touch with us At All Secure Security.